It's been 6 weeks and I am proud to say that our basement is DONE! It's a pretty utilitarian room, but I also tried to add some pretty things. It's a room that I can pull my car up to, unload groceries, & kids can drop their backpacks off. It's also a room that all of our sports equipment can get stored, nicely and neatly so when we need to pack we don't need to search in 12 different places to find our stuff. I added a couple exterior rugs to wipe feet and a boot/shoe tray. Just cleaning the windows on the french doors did a lot! All our bikes are stored here as well, under cover. Just to the left when you walk in is a huge empty area under the stairs. I thought it would be a perfect area for the dogs to hang if we have company and don't want them underfoot or eating off our plates. So, I had my neighbor weld a gate and then my husband sprayed it with car paint. After planking and painting the walls, I put down our Hedgehouse USA throwbed for them. I framed a vintage flashcard and added their silhouettes for a fun touch. Their leashes hang on the side of the new cubbies, which also hold tennis balls and dog treats. I designed the gate to mimic the checks in the curtains and then, like I said, my neighbor welded it out of steel. The holes are up to code so I feel safe leaving my babies in there for a short period of time. Just to the right of the dog area is a set of cubbies that hold the kids' trophies, things we'd need for a road trip, scarves, blankets, and some smaller sports gear. I mentioned a little surprise element in the room earlier. This is a old ski lift chair that came out of Lake Tahoe! My husband got it years ago when they were remodeling and it has been in storage ever since. He cleaned it up and sprayed it with the same black car paint he used on the dog gate. He welded a pole for it to mount from the floor to the ceiling. My mom made the check pillow and I added a cozy wool blanket. The poster behind it is of the families favorite ski resort. I had it made from Mapiful. Just across from this is a wall of cabinets for storage. 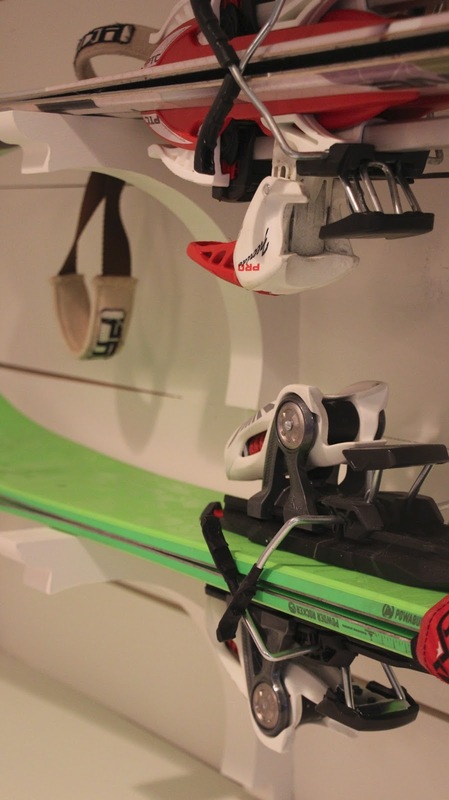 8 wooden shelf brackets from Home Depot hold our skis and snowboards perfectly. The fishing pole holder is from Cabelas. Reading nook in the back and more storage on the left. To the right is a big walk in closet with tons of shelving and bags full of more sports equipment. The rug is from Wayfair. 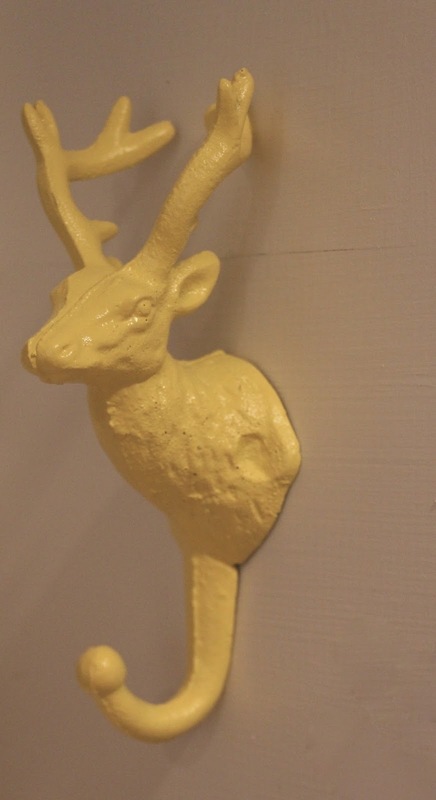 The deer hooks are from TJ Maxx and I spray painted them yellow. The fox and bear pillow from here. Black and white pillows are Ikea. I made the art and the lights were gifted from a friend. Back with the reading nook is more storage. 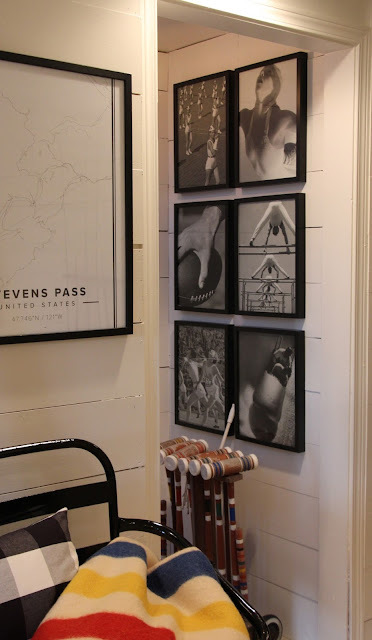 And the stairwell leading up to the upstairs got a new light and some framed prints out of a book from the Olympics circa 1950's from Haystack Home in Kirkland Washington. Ceiling light from Lamps Plus. That was a lot to look at, so I have a little surprise for YOU! Head on over to Between You And Me Signs on etsy, and pick out your favorite one. 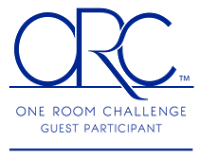 Come back here and leave me a comment telling me which one you love AND what your favorite part of my One Room Challenge is. You will then be entered to win one of their signs of your choice! I will pick a winner one week from today and announce back here on my blog! I love Between you and me! Especially her Joshua 1:9 sign. I would love to put it in my high schooler's room to encourage her and she prepares for college. I absolutely love everything about your ORC! But, my favorite part is all of the buffalo check fabric. 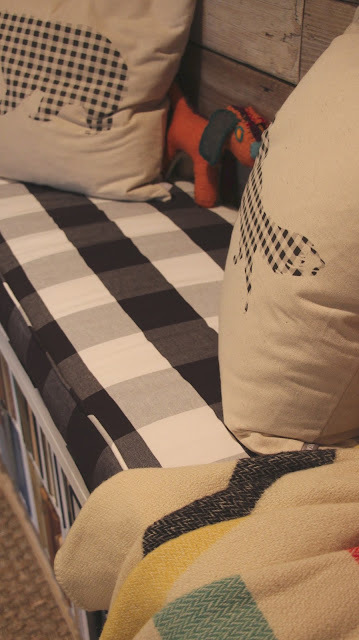 We are in the process of updating our master bedroom, and I'm dying to incorporate some buffalo check. It gives the room such a cozy feel! I went to between you and me signs and love her velveteen rabbit quote. 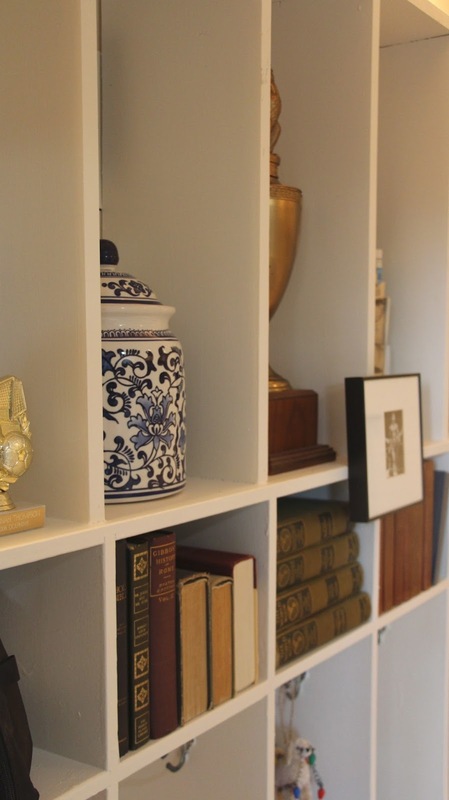 Thanks for sharing your gorgeous space! You're an inspiration. Hi! Love love your room! It sure came out beautifully! I'd have to say my fav part of it is that ski lift chair. It adds dreamyness to the room. My favorite sign from the shop has to be the Love Never Fails... Actually I love them all! It turned out fabulous!!! Love it all, especially the reading nook! The buffalo plaid is amazing! I love the sign "I have found the one that my soul loves"....perfect for my bedroom. How can I pick a favorite, the whole room is magazine worthy!! You have made function, absolutely beautiful! The ski lift chair deserves a round of applause! So fitting and unique! I have wanted a sign from Between You and Me's shop for so long, I would choose her "You are my Sunshine" sign for sure, reminds me of my Grandpa who used to sing that song. It is gorgeous, I love the shiplap and the pooch area. My favorite sign is the "Eat, Drink and Give Thanks". Enjoy your space, I know you must have worked hard. Ummm, coziest place ever! And that ski lift chair kills me. Great job - I love this whole space! You guys did so much! Oh I love the "Now I lay me down to sleep" sign. My mom used to say that with my sister and I every night before we went to bed. It is such a sweet and simple prayer. My favorite part would be the reading nook OR the dog nook...dogs + books= two of my FAVORITE things. I love this room so much!! by far my favorite part of your mudroom is the ski lift! 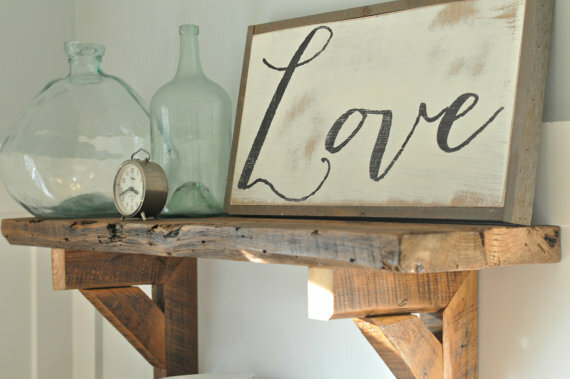 I am trying to figure out how I can get my hands on one and make it work in my space :) My favorite sign from Between You and Me is the Love Wooden Sign. Perfect for my master! You did a fabulous job! Love it all! Especially the reading nook....A great spot for adults and children alike. Favorite sign by Between You & Me : "Love Grows Best". Thank you! You did it! The area above the counter looks fabulous - as does everything! I would LOVE a Christmas sign from Between You and Me! I like the 'Unto you is born…." Reminds me of our favorite Charlie Brown Christmas and Linus reciting that verse! I don't think it would be possible to pick one favorite, I love everything you've done here! 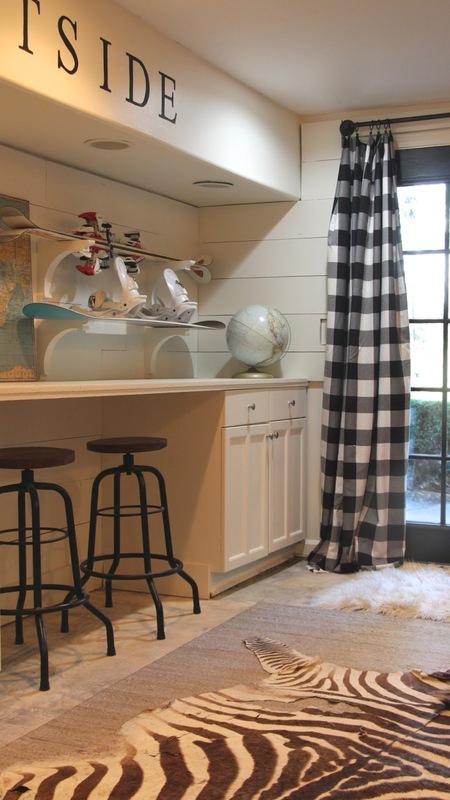 The ski chair, the old Olympic prints the dog gate, so good! Thank you for a chance to win one a sign, I would love to have the love grows best in little houses sign. I love everything about this! My favorite signs are the "in this family" signs. I love your ski loft! So unique and fun! I also love how you created so much storage space. It looks so amazing and functional! Hi Melanie. Wow - all I can say is wow! I always look forward to ORC and you always seem to hit it off the map. I first love the idea of the Dog kennel/crate. Super idea for that space and great job on designing the gate. And then the unexpected - the ski lift chair! Cheers to you and your husband/helper. My favorite sign by Between You & Me is "MY Wish For You". I love your whole space but I think the ski chair lift is so awesome. 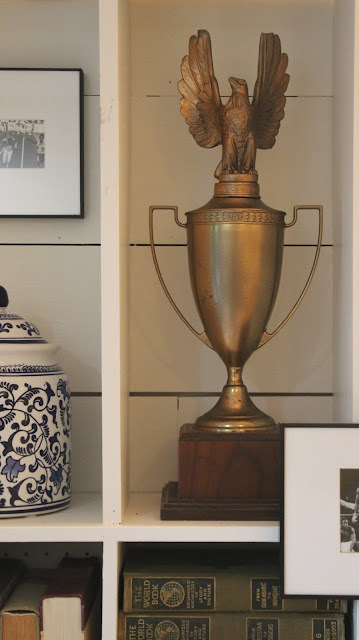 what a unique piece of furniture that also represents something your family loves! I am amazed by everything about your makeover, but the reading nook is just wonderful. I would never want to leave the basement. I have admired the Between You and Me prints for some time now and I would love the Narnia quote, it's one of our favorite books when my children were younger and brings back such beautiful memories. I love it all! Love the use of sporting equipment in the design paired with old Olympic prints. Beautifully tied together! Between you and me prints that i like ( if I had to choose)... "Wonderful world horizontal" and "his steadfast love"
I loved the ski lift chair repurposed, as well as the dog kennel. You did a great job with it all. 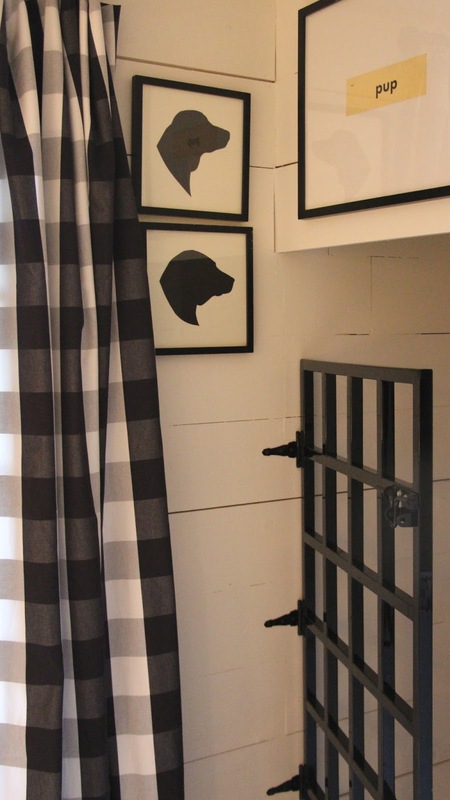 Im swooning over the black & white buffalo check curtains to be honest! Love it all! FABULOUS job. It so usable and cool and comfortable. Love it all. 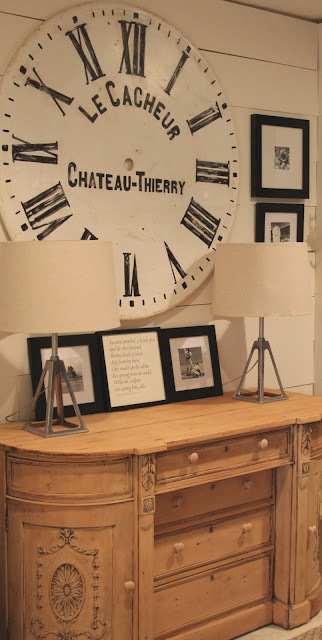 I love seeing things repurposed in unique ways and that ski lift chair is by far my favorite part of your makeover! You did a great job on it and it is PERFECT for this area where your equipment is being stored. I'm inspired! Such a cute and fun remodel! I really liked the use of the ski chair! Fun and unexpected! I also liked the Between You & Me signs welcoming you into the house. My favorite Between You & Me sign is "Glad and Sincere Hearts"! GO JUMP IN THE LAKE.. Living on Lake Michigan it is a saying everyone loves. Amazing room ! So talented ❤️ Love SO much about it .. But one of my favorites is the dog area and gate - great idea - and I can relate to the dog being underfoot - especially when you have company ☺️ Love love Between you and me designs - have had my eye on "wash brush floss flush " for a bathroom makeover !! Enjoy your lovely space ! Be blessed ❤️ Thank you !! That reading nook!!!! The wooden wall, the lighting, the cozy pillows - I would escape down there quite a bit but it's all a beautiful space! In this Family sign from Between You and Me is wonderful! We Do Grace & We Do Real! ;) Thanks for a chance at the Giveaway!!! I love both your ski lift chair and your reading nook but I'm a sucker for cozy spaces so I'll go with the I reading nook. It looks so inviting! I especially love the pallet (?) wall. Every time I see one, I fall a little bit more in love with them, but still haven't figured out the best wall to try it in my own home. I'm also a huge fan of Between You and Me signs! At the moment I have a major crush on her black Oh Holy Night sign. Love it. Thanks for giving a peek into your challenge. It turned out fantastic! I love your reading nook with all the cozy pillows and fabrics. You created a beautiful escape right in your own basement! Oh, and the ski chair! And the buffalo check! SO much yummy goodness. My favorite Between You & Me sign is the "Wonderful World" horizontal. Cute room makeover! I love the ski lift area. Makes me want to grab that blanket and take a seat with a book in hand! I love Between You and Me signs - if I had to pick one, I think it would be the family rules sign! Feeling the Christmas love these days and really like the Between you and me O come let us adore Him sign! Your pet space is super cute and practical!! Such a great room makeover! I love the ski lift chair and reading nook. 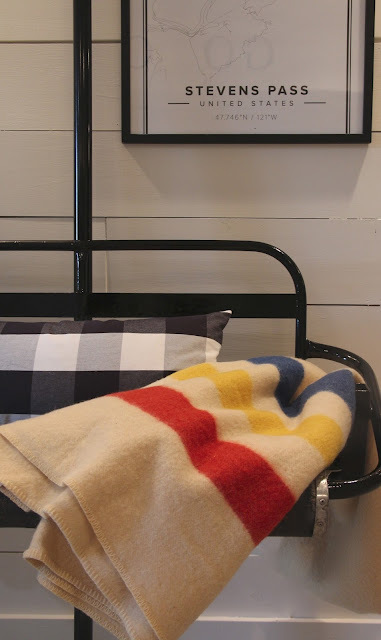 Where did you get the hudson bay blankets from? Between You and Me has been one of my favorite etsy shops for some time. I love the Have Yourself A Merry Little Christmas sign. I'm in love with all the ship lap you did!!!! Would love to have that in my home! I'm also loving how you decorated it! Love the outdoorsy feel and the quotes throughout! You did an amazing job! I'm obsessed with "Between You and Me" signs!!!! How do you begin to just choose one! But I do have a favorite!! I would love to have the "Love Grows Best" sign! Describes may home perfectly! Thank you for the chance to win one!!! because i am in love with all things black and white i love your buffalo check details but the lift chair is just brilliant. amazing transformation. my favorite sign? another black and white wonder: oh what a wonderful world. I love Between You and Me. I've been eyeing her signs for a long time! I especially love the O Holy Night and the Jeremiah signs. Your basement is lovely and seems very functional! I think my favorite part is the art/prints. 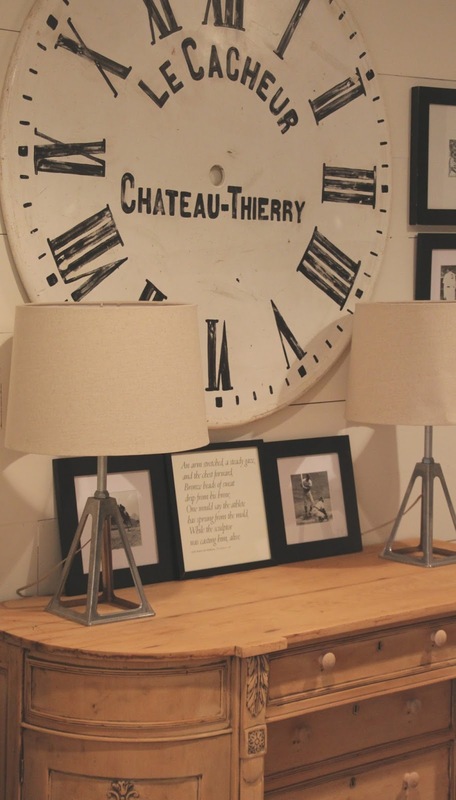 What a great idea to frame vintage photos from and old magazines! Can't wait to see your next project. First off I just wanted to say " Wow" job well done. I love that this entire space was all about the details. So much thought was put into this gorgeous space. I love the dog gate. Reminds me of a horse stall. Your cute silhouettes of the dogs. I love your book nook with wood walls. Your Go Outside sign is so sweet. The entrance is so very welcoming as well. Just perfect. The sign I love from between you and me is the Love grows Best in little houses. Always speaks to me. And I love EVERYTHING about your basement makeover!!!!! The planked walls, the reading nook, the dog nook: ), the ski bracket wall, the black painted doors...even the unfinished floor which just adds to the rustic vibe. And it's a mudroom, so it doesn't get any easier than that as far as upkeep!! Thanks for the chance to win a sign - their work is beautiful! My favorite sign is: In this family. 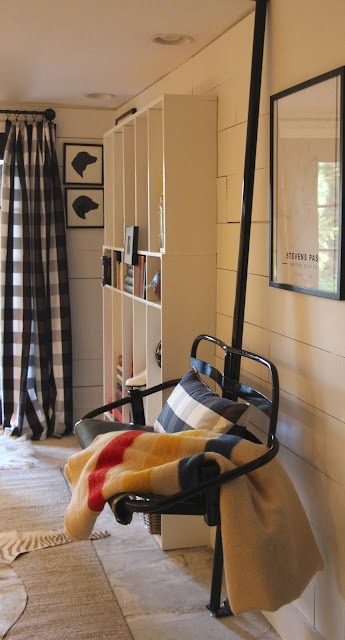 My favorite part of your one room challenge is the old ski lift chair!! My favorite sign is the the love grows best sign. My favorite part of the one room challenge is definitely the old ski life chair! I also love the custom map from mapify! Amazing job on the room, love everything - but my favorite part is the bones of the room, the planked walls... Looks amazing! A sign I would chose is "you belong among the wildflowers" - appropriate for me! My favorite sign is the "Be Strong and Courageous" sign. Deut. 31:6 is one of my favorite ones and remembering what it says has gotten me through some difficult times. My favorite part of the One Room Challenge is the reading nook. Great job on the entire space!! What an amazing job you did! I just love everything about the room! We're in the stages of remodeling our basement to get ready to list our home. If we weren't planning on moving I think I'd be a copycat and steal some of your ideas! 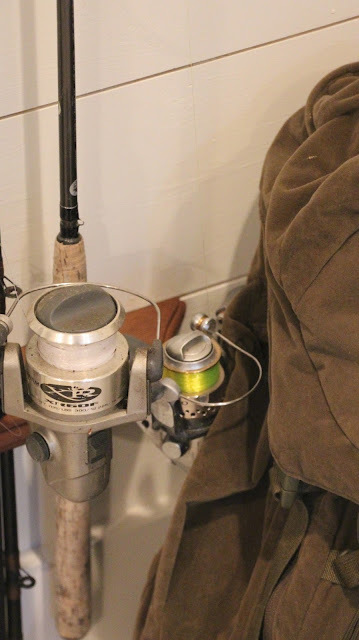 One of my favorite parts is the fishing pole holder idea. 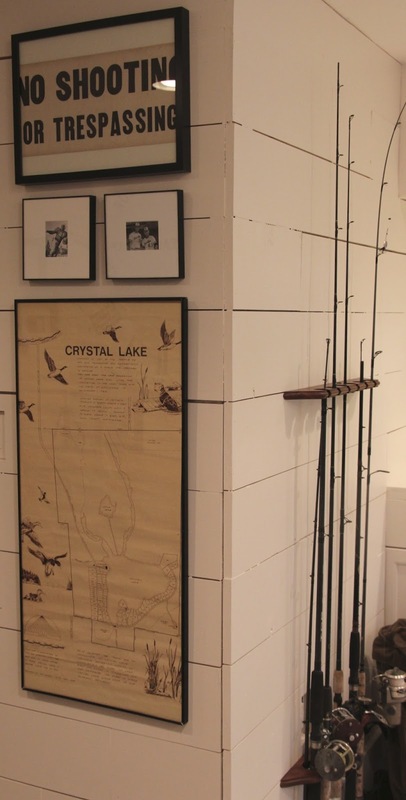 My husband and son both hunt and fish and I can never figure out how to incorporate all their stuff into the décor. You've given me some ideas for my new home! This is just too incredible! I can't get over the before and after! LOVE the ski lift! My boys would do anything to have that! Wow! Melanie!! I have to say my favorite part of this ORC is that you aren't afraid of the hard work it takes to get the look that you want!!! You have such a great eye. The Play Outside wall is fabulous with the shelves and cabinets. I love the stool choice and I am a sucker for hide rugs. Bravo !!! My favorite sign from Between You and Me is the lyrics from Mumfors and Sons, below my feet. I ❤️ Mumford &Sons and think the sign is perfect! My favorite part of your basement renovation is the ski lift chair- how awesome and unique!!! My favorite sign is Holy Spirit, You Are Welcome Here! And I'm loving your reading nook! I like the sign about love (scriptural reference). Your "after" is incredible and inspiring. I really like the cozy black and white padded bench. All of the room is spectacular, really. This gives me incentive to keep moving in our small (1200 s.f.) house. Organization is so critical and you have a gift for it. My favorite sign is Love Never Fails. My favorite part of your "after" are the black accents (French doors, designed railings for dogs, ski lift). They add a depth to the rest of what you did. Wow - I just love the whole space! The dog nook is a great idea. I absolutely love the ski lift chair and the reading nook. Love it all! Fantastic job! Such a great use of space and pretty too. That ski lift is awesome! Love Between you and me! and my favorite part of your renovation was the organization for your outside sports and the words "Go Outside"
I love your room...buffalo checks for the win!! The ski chair is awesome too. My favorite signs are the velvetten rabbit and love grows best in small houses. Such a great room. I have looked at every photo 3x!! Love it all, especially the chair lift chair!! Wow! Your creativity never ceases to amaze me! I'd love to have the "Love is patient" sign. Posting my comment again because I don't think it went through for some reason under my other account! And th sign I would love be to win is the "love grows best in little home"!! My favorite!! Well too many favorites to count! Wow...fantastic room. It's hard to pick one. I think the ski lift chair is great. The sign co. on Etsy is fun too. I like the A wonderful world,horizontal. I love the use of the space for the dogs. I would of never thought of that. Plus it looks stylish, not like some big old dog pen. I also love the ski lift chair. 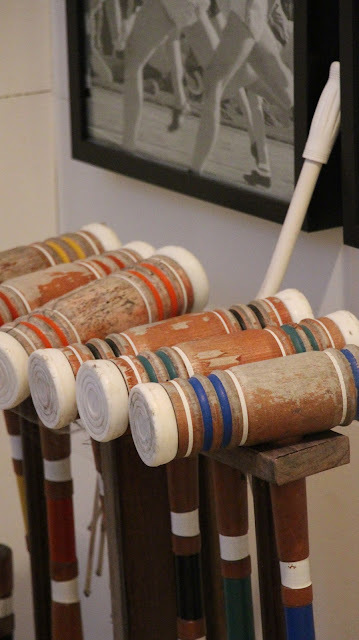 I seen someone put chairs from an old baseball stadium in their living room and I have been love with the idea ever since. I also love the You belong among the wildflowers, sign from BetweenYouAndMeSigns. I feel like this describes my 4 year old. I love your mudroom makeover, great job. A great looking room. The clock is one of my favorites. As for the sign, my favorite has always been the large O Holy Night one. WOW, I'm blown away! It has everything one could want for function/storage and still be pretty It is hard to choose my favorite thing about the room, but I am really liking the reading nook. As far as the BYAM I would choose the horizontal It's a Wonderful Life or pick my own hymn. Outstanding,Melaine!!! Got my vote in the top 3 in all of the Design Challenge. Love the black & white! Ski lift chair is the best! Reading nook is fab! All your details are top notch! "unto us a child is born" sign. Nice to see so many things repurposed!! Glad and sincere thanks, is the sign I would love to hang in my kitchen! You did a great job! Melaine, what a true talent you are! I enjoy watching you work because you inspire me. I have almost the same floor plan here on Lost Lake, and also like you, it is a fixer. Slowly we are making it ours..and like you...with our own hands. I love the sign, Show me the right path Psalm 25. No words on how comforting this verse is to me. Thank you for letting come into your world! I love the black french doors!! Beautiful home! My favorite signs is the long version of Joshua 24:15 As for me and my house we will serve the lord. Love the reading nook!! You have a beautiful home. Love the Christmas signs: Have Yourself a Merry Little Christmas and O Holy Night!! I love the "love grows best" sign. your room turned out great! I love what you did with the One Room Challenge. I love it all, but my favorite is the planked walls! Thank you for the giveaway from "Between You And Me"...I would love the Mother Teresa Quotes Sign! I love everything about this room but I absolutely LOVE the ski lift chair! I love the sign "As for me and my house, we will serve the lord". The ski lift chair has to be a favorite--so unique! I have loved Between You and Me's "As for Me and My House" sign forever! Thanks for the giveaway opportunity! I love the cozy reading nook and the dog kennel under the stairs. You always create something special from found objects. Love the lift chair. Thanks for sharing your ideas and talents with us. Absolutely stunning transformation. My favorite is the ski lift chair. That has to be one of a kind. My favorite sign from Between You & Me has always been the Come Thou Fount of Every Blessing sign. Someday I hope to buy it! I love all the beautiful storage you were able to create! It's inspiring how the room functions so well and looks so good. My favorite sign from Between You & Me is It Is Well With My Soul. Thanks for offering the giveaway! Melaine, your ORC is by far my favorite I have seen. Everything is always so personal and family oriented, never generic. I love all the signs from Between you and me, and would love to custom design one or get the Oh come, let us adore Him sign for the holidays. Love your blog. It is number 1 on my bookmarks. It looks great Melaine!!! I love all the signs at Between you and me but I've been wanting the Wonderful World sign for some time now. The whole room is beautiful but the ski lift chair is my favorite.! I love the 'love grows best' sign. 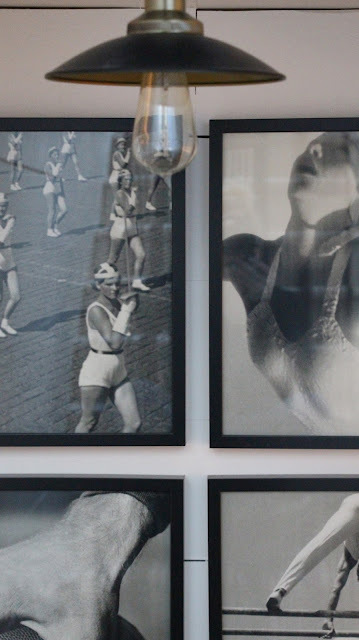 I can't decide if the ski lift chair or the up-cycled Olympic photos are my favorite - but definitely an easy decision in saying you did a beautiful job! My favorite sign from Between You and Me Signs is the You are Fearfully and Wonderfully made. What an absolutely stunning room! I adore the reading nook! 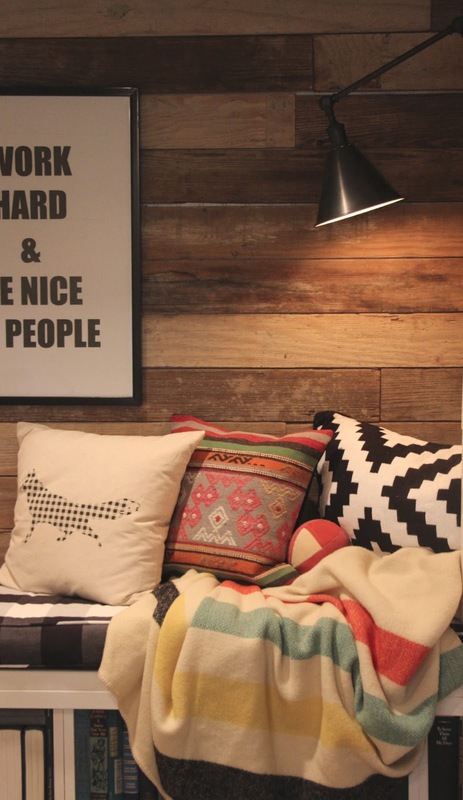 I love how the rustic wood plank wall is offset by the soft and colorful pillows and blanket. It is just so cozy and homey! I would love a space like this in our home! My favorite sign would have to be the one that says "Be joyful in hope, patient in affliction and faithful in prayer." It would be such a beautiful reminder for our family! Everything you do is AWESOME and the room looks great!! My favorite part is one of your Labs (photo bombing) peeking through the french doors wanting to be with his "Mama" I'm sure or check out his new comfy digs. I am a lab lover as well. And my favorite sign from Between You and Me is....Love Never Fails. Just love that sign and You too!! I like the doggie area the best!! I love how your basement turned out. It's great that you decorate the outside entrance. It's a very welcoming, but hard working space. Love the vintage artwork, and i'm totally crushing on your curtains! The Merry Little Christmas sign would be perfect in my home. Your ORC is AMAZING!!! I love buffalo check anything but I love how you incorporated a space for your precious labs,great idea! Honestly every inch of your space is so inspiring. You never cease to amaze me. Wow, what a transformation! I love the dog cubbie, great idea! The ski lift chair is amazeballs!! I love Btwn u&me, I've followed her for a couple yrs too. I adore all of their signs on etsy but the one that I'd pick for my family would be the bob Dylan song "forever young" lyrics. We just love that song and it's so simple but it speaks all of our wishes for our children :) thank you for the chance to win!! I know exactly where I'd hang it too ;-) I'm following you on IG and blog so I'm really excited to see your future posts and grab some inspiration! What a darling, darling space you have. You are so talented and inspirational. I love the blanket on your chair lift. Where is it from? And oh my goodness, the What a Wonderful World sign from Between You and Me is yelling my name. That. Thing. Is. Gorgeous! It looks amazing, and completely functional! A pretty room is nice, but when it serves the actual function it's intended for (in your case storing your outdoor gear) it's perfect. I'm sure you'll enjoy it for many years to come. My favorite between you and me signs is the "Have yourself a Merry little Christmas". It's just so perfect! Thanks for the chance to win! I love all your black and white framed pictures and your doggie area! My favorite sign is the Unto You Is Born this Day sign. You really outdid yourself. I love all of it. So beautiful. Out of all of the signs that are out there Tara's have always been my favorite and I still think of her as the Original Designer. Everyone else has copied her. So I would be honored to win a Between You And Me sign. you are my Sunshine will always be my favorite. 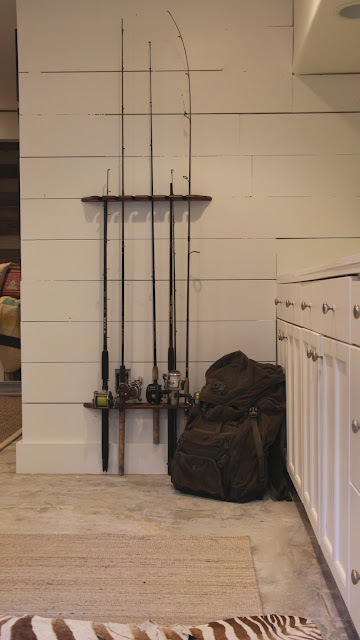 For the one room challenge I have to say my favorite part is the fishing poles. My Dad was a professional Bass Fisherman who won the Western US championship. So I grew up fishing and surrounded by fisherman equipment. I also like the black and white and neutral artwork on the wall near the fishing pole holder. Wow! What a transformation! I was so looking forward to this reveal, and it did not disappoint! There is eye candy everywhere! Awesome job! Be Strong and Courageous is my sign of choice for my daughters bedroom makeover! The ski lift bench stole my heart. Genius idea! Love everything about your cozy basement Melaine! Makes me want to head west to ski and trek through the woods in the snow with the dogs! The pup suite is my fav!!!! And if I had to pick a sign, it would hands down be the Mother Teresa quote! Would be the hallmark of my breakfast nook for all to see! Thanks as always for continuing to inspire! I hope to take the plunge soon and become a blogger! Great room! Love the mix of patterns and the GO OUTSIDE on the wall. Canadian, so just stopping by to say that your basement makeover is so functional and stylish. Love the fabrics and pillows and all the little touches. I love the whole room! My favorite is the planked walls though. The dog kennel is perfect too and such a great use of space! I have always wanted a Between You and Me custom monogram sign or the Kitchen sign. My favorite Between You and Me sign is the Love Grows Best sign! It would look perfect in my first (small) home! Love the room! What an amazing makeover! My favorite part is the sweet space for your puppy! I love that gate!! I love all BY&M signs!! My favorite is the "you have my whole heart for my whole life!" Wow, wow, wow! Such a cool space and so unique!! Love all the fun touches you added yet everything was so useful! You knocked it out of the park...and that doggy nook...swoon!! I would pick the wash brush floss flush sign, it's been one of my favorites for a while! With five daughters of my own who were all involved in sports, I can certainly identify with your "equipment" storage dilemma. You did an amazing job of making a functional space look stylish but very livable! 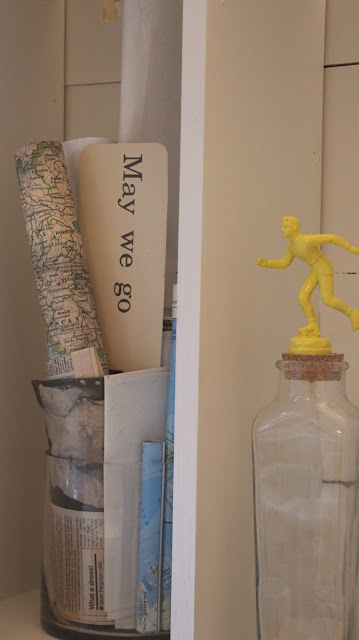 I love all the maps of meaningful places and signs, especially the vintage Olympics ones. As for the signs, they are all so inspiring but I like the "Hope and Future" one. 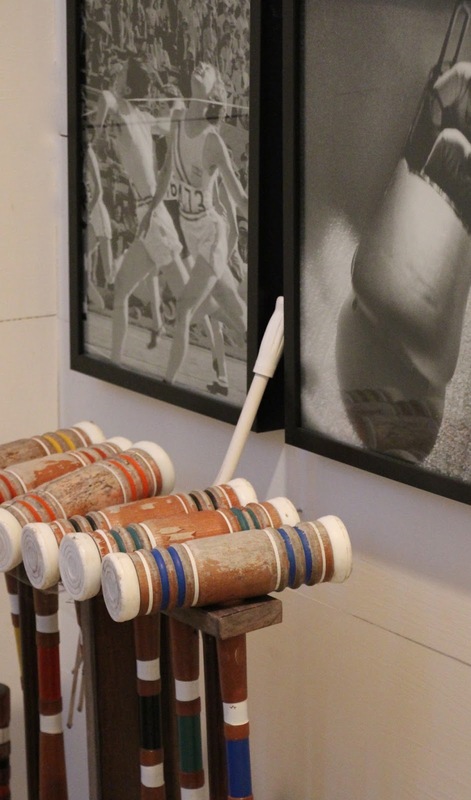 I love it all, especially the ski life chair and the vintage Olympic pictures. My favorite sign is O Holy Night. Thank you for your ongoing inspiration. I happened upon your blog some time ago and always look forward to your posts as I live close by in Snohomish. You have such a keen eye and talent and though I have been in the design industry for many years, you always inspire. Thank you for sharing your wonderful posts....you did an amazing job on this makeover! Favorite part of the room is the planked walls. Need to look back thru your posts and see how you did it. Great look! My favorite part of your room is the reading nook because I love to read. My favorite sign would have to be I Hope You Dance. It is the quote we wrote in a book to our daughter when she went off to college this year (up in your area). Bittersweet. I am impressed that you got all that done in 6 weeks! That is amazing. My favorite part is the dog area - as an owner of a yellow lab, it is for sure my favorite - the siluoettes especially I love the "Merry Christmas" print the most because I am super excited about the season! Wow! What can I say but this turned out just beautiful....but I'm not surprised since I love everything you do. I would love to win the "Love Is Patient" sign for my son and his family who just moved into a new home and I'm helping my DIL decorate it. That would be a great addition to their den. Thanks for the opportunity to win. P.S. I'd have a hard time choosing my favorite part of your ORC but I think it would be all the buffalo check pillows and curtains.....swoon! I love that you got to use your ski lift chair! And I love the "The Weary World rejoices" sign. My favorite sign is the "It's a Wonderful World" one. My favorite part of your makeover is the lift chair! What a creative element! Love it! My favorite sign is the black horizontal 'Wonderful World', and I'm shaking with excitement at the chance to win it, thank you! My favorite part of your makeover is the entire 'mood' that you brought to it. It's amazing and has a winter resort vibe that I love. Having a reading nook along with all the storage and an awesome place for skis and fishing rods is brilliant. 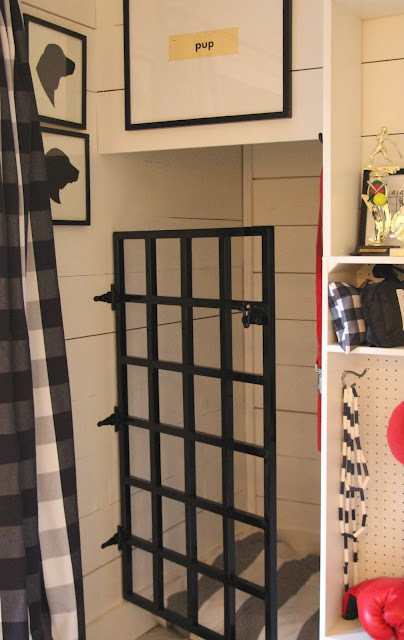 Your mud room is straight perfection. The highlight is the reading nook, with special mention to the ski lift chair... it's the bomb!! If I was to win a sign, I sure would like to own the john mellencamp lyrics that you have living in your home! 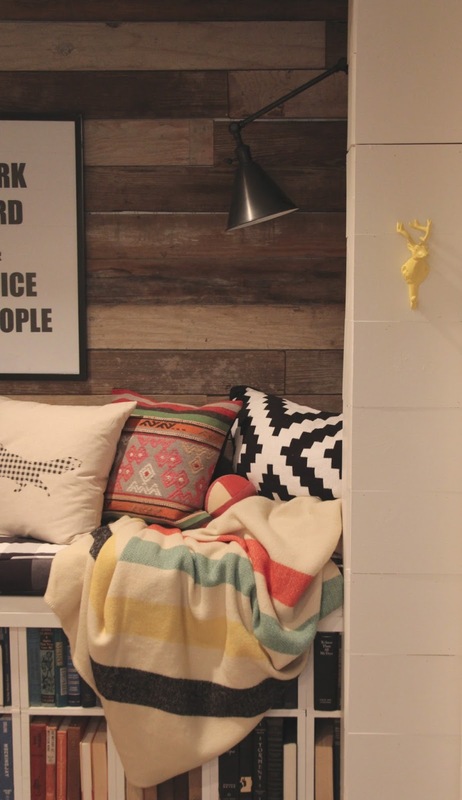 I love the wood wall nook. It is so cozy and perfect. The ski chair is so clever, though, that it is my favorite part. So inspiring! My favorite between you and me sign is "I cross my heart" next best thing to having George in my living room. Favorites : yellow hooks and black and white buffalo check drapes and cushions. Sign? JMellencamp , short but cute! Sorry John , nobody's perfect. Oh my gosh, you are unbelievably talented with creativity! I love all of it, but especially the ski lift and the reading nook. Everything is so original tho. I could hardly stand the wait for today. Between you and me sugns I choose " it is well with my soul". Wow, I have lots of favorites from your ORC. but I love the skis and snowboards!! I ❤️ All BYAM signs...I adore Sunshine and Joyful, joyful. Would so love to win! As it's been said over and over, YOU.ARE.INCREDIBLY.GIFTED. It's all so awesome. Among my favorite things, the plaids, the maps, the "GO OUTSIDE." It oozes with comfort and style. My favorite sign is the Ralph Waldo Emerson. Oh my! I love what you did and I absolutely love Between You and Me! I'd choose the "Love Grows Best" sign. By the way, I forgot to add that I really love your reading nook. I feel every home should have a space just for reading. Love the ski lift chair! What an awesome way to use that in your fabulous new space. I have fallen in love with Between You and Me signs many times and they are all incredible. I would choose the "Do Justice" sign because my daughter and son-in-law are both in law school, planning to work for human rights and make a difference in this world. I would gift it to them. Beautiful job! Your home is amazing! I love Between you and me Signs! I love the Joyful Joyful sign or the It is Well sign. Thanks for the awesome giveaway! This is amazing! I love every detail! The ski chair lift....how cool is that? What a great space!!! I love how every square inch is thoughtfully planned and useful for your family. That doggie nook though...how many times have I wished I had a place for our girl when friends/family are over. Genius! My favorite sign has to be "Wonderful World". I've loved that song from my earliest memory. You did a wonderful job on your ORC. The rooms serves everyone in your family . . . (even the chow hounds.) We have always had Labs . . . totally understand. It's very hard to choose a favorite feature in the room. I must go with the "lift chair" and the Stevens Pass sign perfectly placed behind it. I love that it evokes a special memory with your Mr T.
I have purchased one sign from "Between You and Me" in the past. I appreciated how they had it already prepared and wired for hanging. If I am so lucky to be chosen, I would love to win "Have Yourself A Merry Little Christmas". My my my.... you are one talented gal!!! I love it all, Melaine, but the GO OUTSIDE, hanging skis, and lift chair are so unique and my favorites. As for Between You & Me.... I have saved for a sign five different times and then the money always has to go elsewhere in the budget. The sign I have wished for for sooo long is "Love Grows Best". We lost our house and have been living in a condo for the past three years and this sign speaks to us. Fingers crossed! Thaks so much for the eye candy!!! What a beautiful space! There are so many things I could choose as my favorite part. I love the curtains (I have the same ones in my dining room). I also really love that you were able to make a special spot for your dogs. The gate is amazing! I love the Silent Night Holy Night sign, and your bench made from crates is hands down my favorite part of your ORC. Love how the room turned out! Stunning! Amazing job! Lucky family! :) I have admired 'The weary world rejoices ' for a while now and with the holidays upon us that's in the lead...although I also love 'She believed she could so she did' for my girls' room though too. Can't go wrong with any of them! :) Thanks for the opportunity and enjoy your space! This is absolutely fabulous! I love everything about it, especially the ski lift. As a mom of 3 boys and a dog is could totally use this space in my home! I was just organizing and sizing their skis and boots the other day and they are still laying in my living room! Love everything you did! I really like the monogram signs. It would be so perfect in my daughters room! As for your Orc. This might be a very small thing but I really love the wood brackets you used to hold your skis and snowboards. I love how it got them off the floor and they actually became art. Beautiful! By the way, thanks for doing the give away!! The lift chair and reading nook are tied for my favorites... Beautiful room! LOVE your room. You are so talented! 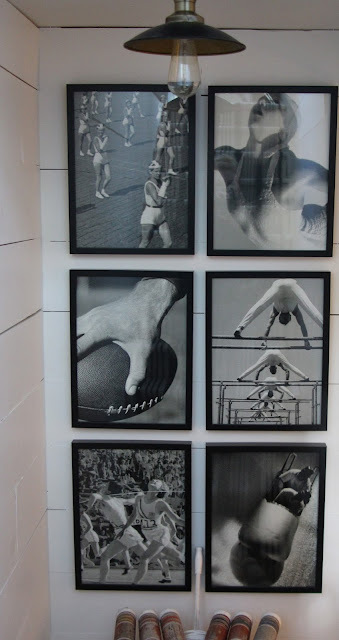 Ok my favorite in your room are the frames Olympian prints. ❤️ My favorite posted at Berween You and me Designs right now is the one from Lamentations 3:22 great is your faithfulness. Thank you for opportunity to win! Their signs are beautiful!! The room looks amazing! I think my favorite is definitely the reading nook, I would love an area like that in my home! I checked out the etsy shop for Between You & Me and there are so many love. But if I had to choose only one, my favorite is Prayer of Blessing (vertical). They're all wonderful, she is very talented! Thank you for sharing your room makeover & especially for the opportunity to win such a great prize!! Wow, I just love everything about the room. I have to say, my favorite is the pet area. I so wish I had the space to do that. I am so thrilled that you are offering a chance to get a sign from Between you and me. Aren't they great. My favorite is the Bob Dylan, but I think my choice and it's a hard one would be, "Prayer of Blessing". I think. lol!! So many to choose from. This is so neat! My favorite part is how creative you were with the space!! And I love her signs- especially the Christmas ones! Wow! I love the curtains, they're gorgeous and the dark paint on the French doors, it's gorgeous but my favorite is the custom 'kennel'! So so good. And the ski lift!!! My husband would kill for that! I have also had a couple between you and me signs in my cart on etsy for nearly a year now. It has a saved spot in my baby's nursery above the crib, below a wooden propeller, but I just haven't been able to pull the trigger, gotta save a few more pennies! I have some vintage Winnie the Pooh prints so I think I've decided on the EE Milne, "As soon as I saw you I knew an adventure was going to happen." He turned 1 last week and it absolutely applies! Thanks for sharing your home and I hope y'all enjoy the new space! It's practical, functional and beautiful! I love absolutely every single thing about this space! So many inspiring ideas on how to decorate in a fashionable yet affordable way! I suppose if I had to choose just one aspect it would be the ski lift chair. It's such a unique piece, and I love the story behind it! As for the sign selection by 'Between You and Me', I could list five off the top of my head right now! I'm such a huge fan of their products, but they've always been a bit out of my budget! So this is a very exciting opportunity for me! This has also been a time in my life that's called for a deepening in my faith, due to recent health concerns discovered by my doctor. I'm still waiting for the imaging results that will determine just how dire the circumstances are...and subsequently, I would have to choose the 'It is well' sign in the interim! I think I'd hang it directly across from my bed, so that it would be the first thing I see every morning. The perfect reminder of His faithfulness and ultimate promise that He's there in times of trouble! Thanks for sharing your talents with us and for such an amazing giveaway! Oh Melaine where do I even start, it is all so pretty! If I HAVE to pick, it is the ski lift chair from Lake Tahoe. We live in Illinois and have been to Lake Tahoe twice and I fell in love. I would never have thought of using it like you did and it is perfect! I also love Between You and Me. Such talent! I have always loved Mother Teresa's quote...it was never between you and them anyway. So, so true. When you get down it, it's me between us and God. Absolutely fantastic makeover! Love your challenge outcome/reveal and very inspired to tackle some of my own spaces! My favorite is the ski lift chair. Just brilliant! The Between You and Me sign that I love is the 4 x 2 vertical Rare Treasure Sign. Thank you for sharing your new space and hosting this incredible giveaway! I love "The Weary World Rejoices"
I Love the reading nook and the ski char...GENIUS! What you did is amazing and beautiful! I really love everything Between You and Me signs makes but my favorite is the Bob Dylan "Forever Young" sign. Makes me happy just to look at it. By the way my favorite thing in your new space is the dog area. I have 2 big labs and I love the dog silhouettes and the framed flashcard. So cute! It's always nice to have a fun place for them and their stuff. Well done! Your space was an amazing makeover. Love all the white walls! I was hard for me to narrow it down to "one" favorite thing....but the ski lift chair was definitely a eye catcher as well as the bar chairs....There are several signs also that i LOVE at "Between you and me signs" but His Steadfast Love keeps calling out to me. I like the spacing, font, and of course most importantly the message! Wow, your basement turned out great! Ok, I went over to look at the signs...they are wonderful! How to choose just one? But I think I'd have to get the "You belong among the wildflowers". That really speaks to me! As for my favorite part of your makeover...again there's so many cool elements...but I'd have to pick the dog area. I have two border collies and it would be wonderful to have a built in spot for them. I totally get the trying to eat off the plates thing. Lol. This way they are still part of the going ons, just safest out of the way. Love it! Anyway, I love how the whole space came together! I bet your family will enjoy that for years to come. Good morning, Melaine! Your post is beautiful! I love everything about your One Room Challenge, but I would have to say the creativity behind the dog gate blew my mind the most! What a classy way of making a necessary (usually ugly) evil look so good! Thank you for sharing such inspiring work, as always! Below is the link to my favorite Between You and Me sign! It says "Love Never Fails". One of my favorite Christian bands, Hillsong, sings a song with those lyrics and it is one of my favorites. I also think it's just a true statement overall! The black Wonderful World sign is absolutely me! I'm such a flower child and am just amazed every day with the beauty in this world. 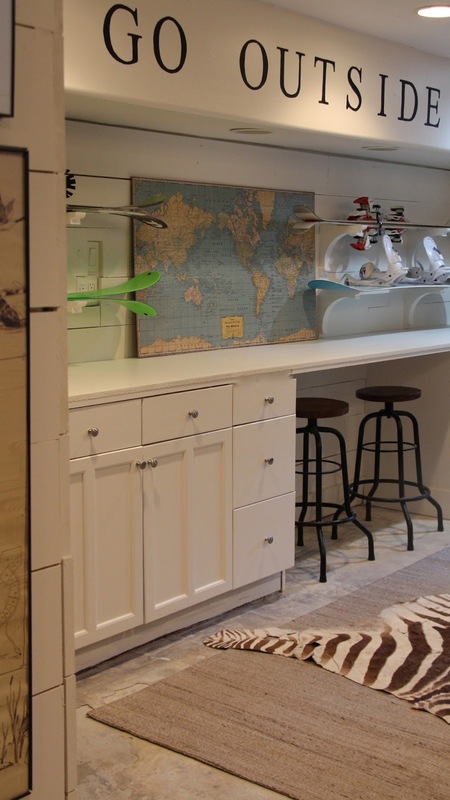 Your entire basement is just overflowing with great ideas so beautifully done! The reading nook is my favorite! 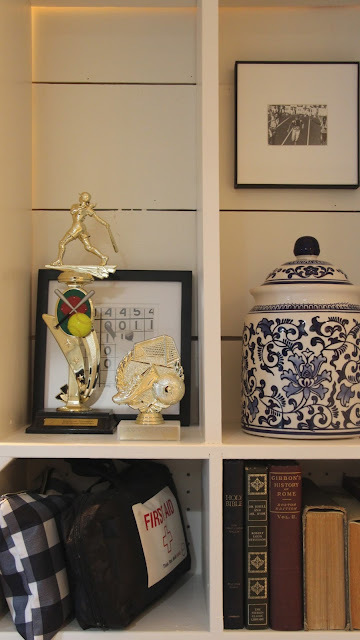 And that dresser/cabinet with the clock above....sigh... Great makeover and I know makes your day to keep all the family's necessities organized! It looks amazing!!! I love the ski lift chair!! You did a fabulous job. I love the black wonderful world sign! You are SO talented, this room looks amazing!! 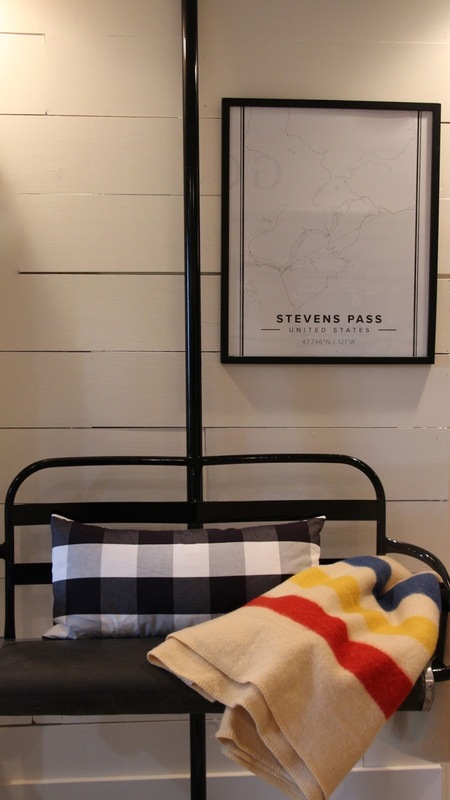 The ski lift chair and reading nook are my favorite ( I love the black and white buffalo check - so pretty!). "You are fearfully and wonderfully made" sign is my favorite. I love so many things about your room but especially the dog area with the gate that you created. We have three dogs and would love to do this. I also like many of the Between You and Me signs but the one that really touches me is the "she believed she could so she did" because my mother fought breast cancer for five years and there were a few times when the doctors made it clear that there wasn't much more to do to treat her however she believed she could win the battle so kept fighting until she couldn't any longer. The holidays are particularly hard for me even four years after her death but we celebrate her life each year by placing a special new ornament on the tree in memory of her. Really? I have to pick just one part of your one room challenge that is my favorite?! ;-) I love it all, but the reading nook takes the cake! (And the ski lift and those buffalo check curtains!) I love all of the detail you put into that multi-purpose space. Very creative. You did and amazing job! I have literally followed you since I saw some of your rooms on Rate My Space years ago! Love your style! It has given me some great inspiration. My favorite sign from Between You and Me is the one you put in Savannah's room. "She believed she could so she did". I am actually in the process of giving my two girls room a makeover and it would look amazing in there! Love, love, love this room!!! The reading area is my favorite. The entire room is BEAUTIFUL!! "When mountains crumble to the sea there will still be you and me" is my favorite sign. My husband and I have been together 30 years. In that time we have weathered so many things and still pulled through. It sums us up perfectly!!! I LOVE your makeover, but my favorite part is the chair lift! We live in Colorado, and I think that is AWESOME! I also love the dog area! If I win I would be thrilled to get one of the custom monogram signs! So cute! The is an amazing transformation! I love every detail. The chair lift is amazing and I love the dog area. It is just stunning. Great job! I just love your blog! The room is beautiful! I love it all but I am blown alway with the nook for the dogs. Thant is sooo cool and I am going to do that for my dogs :) I love the sign " she believed she could so she did" I picked that because my daughter is going to high school next year and she is very nervous about it. Thank you for sharing your home with us. It is so beautiful! Thanks for the generous offer for the Between You and Me Signs -- if I were chosen, I would either choose the "His Steadfast Love" sign or ask for a custom sign with my favorite scripture. BTW, I noticed that your Between You and Me Signs are outside…are they "weatherproof?" I too love everything about your space but the ski lift chair was just so unique! Great job on doing all of this in 6 weeks - it couldn't have been easy! I really love the sign that says 'the weary world rejoices' I would do a happy dance if I won! Fantastic job on the room! I love that ski lift chair! My favorite sign is Have yourself a merry little Christmas! Love your room! Love the reading and dog nooks, but especially love the lift chair! Takes me back to my former life in CO. Picking a single sign is hard. Love "Happy girls are the prettiest"
I love the reading nook, looks like a great place for some hot chocolate and a nap! All the signs are so beautiful! I'd have to say my favorite is the His Steadfast Love sign! I'm not sure which is harder to choose....my favorite sign or what I like best about your renovation. Your room is amazing! The ski lift chair. The reading nook. The Olympic prints. WOW! Also I am totally smitten with the bear & fox pillows. All the signs from Between you & me are swoon worthy. My favorite (at the moment) are "Wonderful World" and "Merry Little Christmas". Thanks for sharing your home with us!! I love your ski chair!!! The whole room is so wonderful! I love the "In this Family" though the christmas ones are fun for the upcoming season! As an animal lover (3 dogs, 4 cats), I love the fact that you incorporate your pets into your home designs. And because I'm all about Girl Power, I love the "She believed she could so she did" sign. Hi Melanie. Your creative transformation of the space inspires me!! To choose just one favorite thing challenged me cause there is so much that I adore. However, the use of the ski lift for seating has to be my favorite simply because of the uniqueness. I would love the His Steadfast Love sign. My favorite part is the planked walls! My favorite sign is I hope you can dance! There are no words. Every.single.detail.is perfectly thought out but not overdone! I LOVE the ski lift chair. I'm kind of obsessed with the pup flash card, too. Everything is so perfectly functional yet beautiful! Oh and my favorite sign, hands down, is "What if I fall? Oh, but what if you fly?" After I quit my job as a teacher to stay at home with my boys, I found days later I was pregnant. And it's a little girl! I would love, love, love it upstairs with their rooms and playroom! I liked most all of the signs! Neat company. I would pick the Micah 6:8 sign or the sign that is for the bathroom and mentions flossing and brushing. I liked those the best, but really so many were beautiful! The whole room is gorgeous. 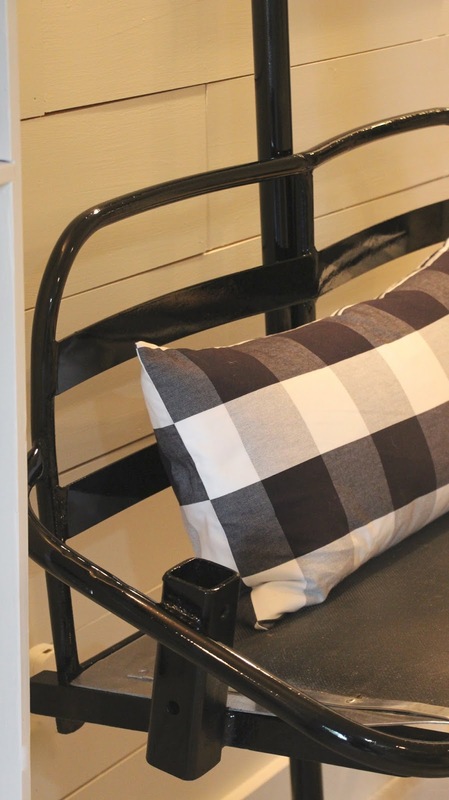 I love the mix of black and white patterns--so modern and classic at the same time! I Hope You Dance is my favorite - love the song and the meaningful lyrics. Your makeover is Wow! I guess I love the black and white check throughout because I love working with fabric and the beauty of black and white. Wow, you did an excellent job on your basement! I love the ski lift and the area where your skis hang. My favorite sign is "Have a Merry Little Christmas"
Amazing! Love what you did but really love the doggie area. What a clever idea. Would love to have the "you are my sunshine" sign for my grandchildren's room. I sang it to my children and now I sing it to my grandchildren. Your entire room is gorgeous and makes me want a mud room even more!! I love the what a wonderful world and the love grows best in little houses signs! Love your room reveal! And love the "love never fails" sign! LOVE! So awesome! 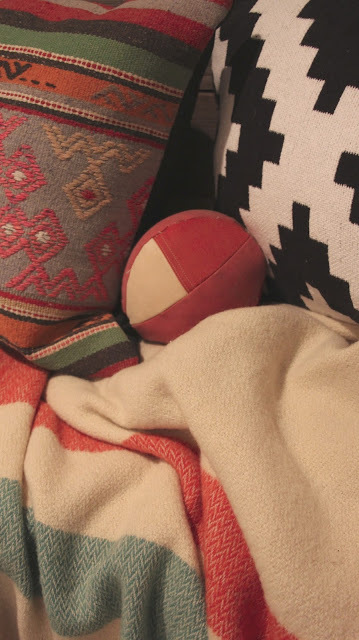 I love the mix of patterns, textures of rugs, pillows, curtains and cushion covers.....its seamless.. it's perfection! I don't snowboard or ski but I absolutely adore those snow racks!!!! Love everything about your basement. Well done! My favorite feature is the ski lift chair. I love the history behind it and love how you styled it. My favorite sign is "It is well with my soul"